If my cat could talk. 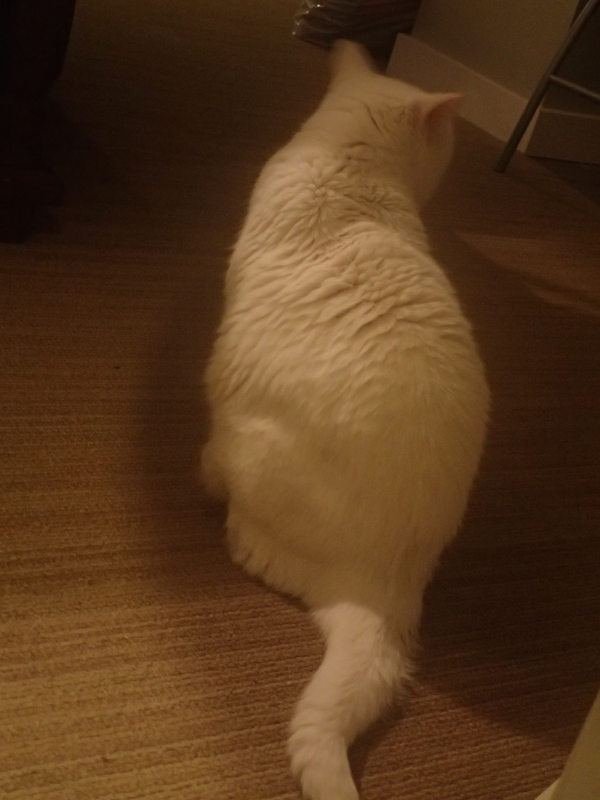 Pearl (my cat): This, is my tail. Me: Come here…I’ll pat you. Pearl: No way I’m falling for that twice in a week. You reek of the vet. Me: You were boarded for one night. I just want to pat you. Pearl: You’re dead to me. The sad thing is, I think she can sense the guilt because she is actually going back to the vet tomorrow. I think I’ll go buy tuna and chocolate cake. Then tomorrow when she’s angry and I’m guilt ridden we can both eat our emotions. Mmmmmm, delicious frosted emotions. So This is My Life? What surprises you about your life? Are you in the job you expected? Are you with the people you expected? I have yet to meet someone who’s childhood plans came to fruition exactly as imagined. It could be good, or it could be bad, but something is usually different. Spend fifteen minutes telling the story of the difference. Happy writing.